Right now, communication can feel like an uphill battle. Information gets lost in translation, time is wasted, and ultimately, customer sentiment suffers. 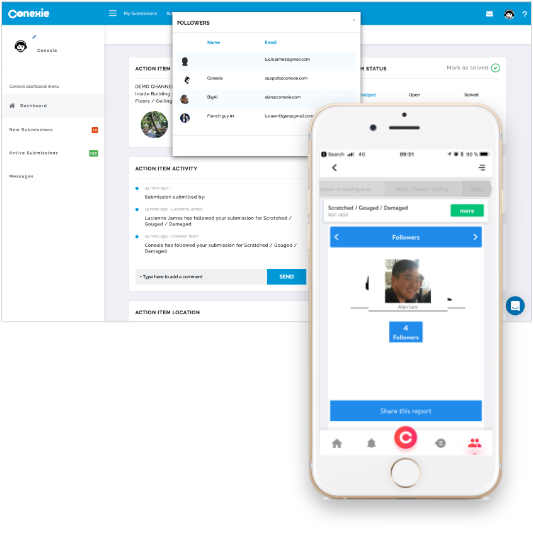 Your personalised Conexie channel is a user’s gateway to simple, on-demand communication. With just a few clicks, they can begin engaging with you in a meaningful way. 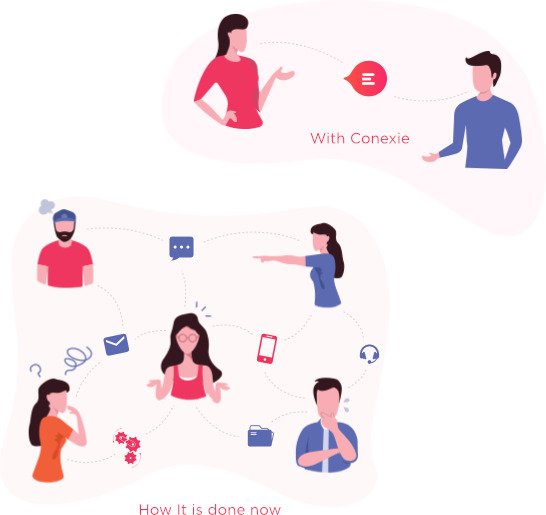 Why do you need Conexie? 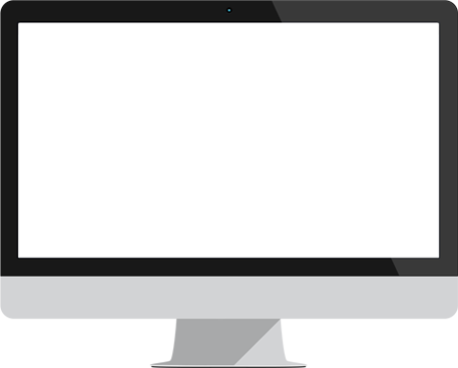 Simplify communication with your staff and customers and increase query resolution time by 60%. 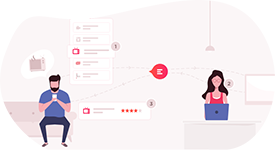 Improve engagement with interested users by creating an additional touch point for every event, announcement, update or offer. Use the data you collect to gain insights, plan effectively for the future and to identify potential problems. Our clients save hours of time and valuable resources through their Conexie channels. Find out how you can create customer service experiences that surpass expectations. Conexie empowers your customers to report issues, provide feedback, ask questions as they come up in a way that you can manage effortlessly. Discover how you can benefit from increased engagement. Captivate your audience by sending dynamic updates to the people who care via push notifications. Explore the capabilities you’ll have at your fingertips with Conexie. 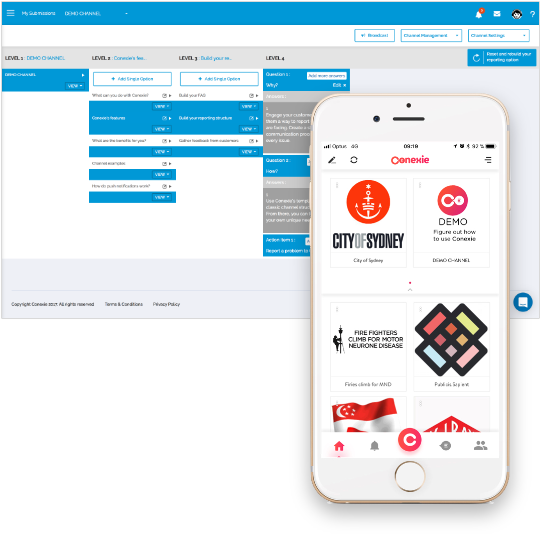 Every interaction managed through Conexie offers profound, actionable insights into your customers’ preferences. 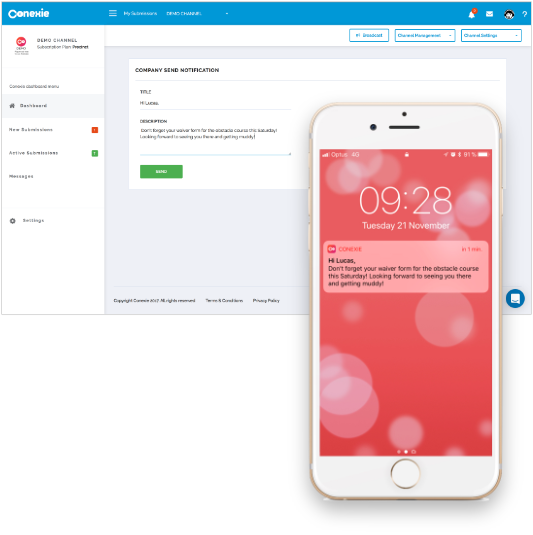 Learn about how a Conexie channel can provide you with user data to target customer communication. Enter your details below and we’ll get in touch.